Requirements were REVISED effective January 1, 2006. Do a time line for yourself or for a relative. Then write a short biography based on that time line. Keep a journal for 6 weeks. You must write in it at least once a week. 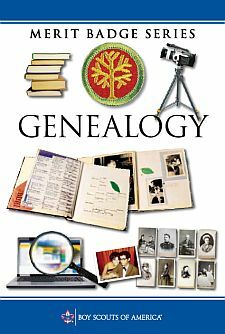 Name three types of genealogical resources and explain how these resources can help you chart your family tree. Obtain at least one genealogical document that supports an event that is or can be recorded on your pedigree chart or family group record. The document could be found at home or at a government office, religious organization, archive, or library. Tell how you would evaluate the genealogical information you found for requirement 4b. A genealogical education facility or institution. Explain how photography (including microfilming) has influenced genealogy.